Tovi was born in Paris and he loves showing people around his city! You will see that Paris with kids can be fun! 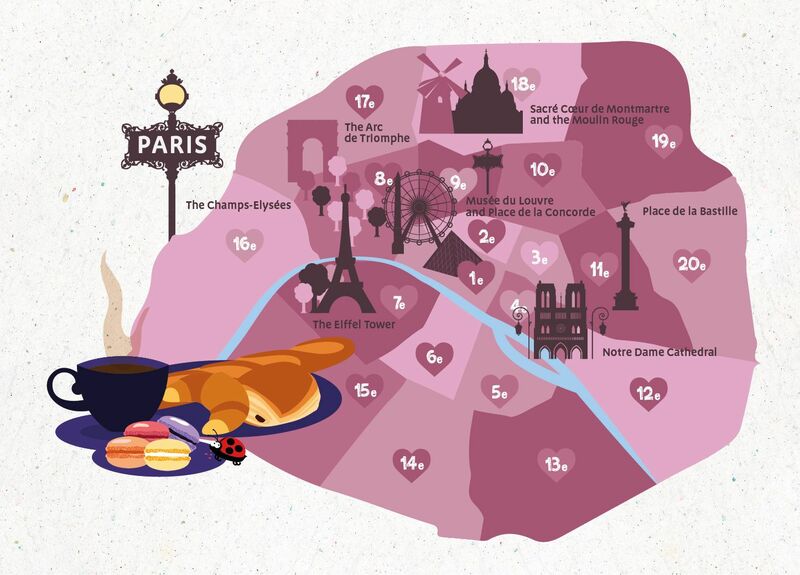 Paris has 20 arrondissements (districts) and each of them has its little treasures. Let him tell you about a few! Before we start, here’s a little overview of the sights of Paris. Visiting the city’s most famous monuments can be great with the whole family. Paris has many beautiful parks which are perfect for outdoor activities. Tovi has picked his top 3 for you! Jardin du Luxembourg - Rue de Médicis - Rue de Vaugirard, 6e Arrondissement. Surrounded by beautiful Hausmann buildings near the Latin Quarter, this park is one of the prettiest in Paris. It has the city’s oldest carousel and a fenced in playground for kids. Jardin d’Acclimatation - Bois de Boulogne, 16e Arrondissement. A children's amusement park with animals and workshops, located in the west of Paris. There is a small entrance fee but it has lots to offer and kids will really enjoy it. Jardin des Tuileries - 113 Rue de Rivoli, 1e Arrondissement . This park is located in the heart of Paris, you can have a nice walk from the Louvre to the Avenue des Champs-Élysées. Kids will enjoy the fountains where they can sail their boats in the water and parents can have a rest on the green chairs. Finding a highchair or a changing table in parisian restaurants can be a challenge. Here are the right places for you to go to! After playing in the park, having breakfast & lunch it’s now time for some culture. These tips are good for rainy days but of course you can also do them when the sun is shining. Whether you are on a plane or in a beautiful park in Paris, it’s always a good idea to read to your children. If you enjoyed Tovi’s Paris tour you might enjoy Tovi the Penguin goes on a treasure hunt in Paris.